ST. LOUIS, MO, January 25, 2017 – The Donald Danforth Plant Science Center, one of the world's largest independent plant science institutes, today announced a three-year $6.1 million grant from the Bill & Melinda Gates Foundation to expand and accelerate the development and deployment of advanced sorghum phenotyping and breeding technologies in support of improved varieties for smallholder farmers. "The Gates Foundation recognizes that most smallholder farmers rely on small plots of land for food and income. This grant will help increase the productivity of a crop that can, in a sustainable and effective way, reduce hunger and poverty and make communities economically stronger and more stable over the long term," said James Carrington, Ph.D., president of the Danforth Center. The funding broadens the impact of the TERRA-REF program launched in June 2015 by the Danforth Center with support from the U.S. Department of Energy's Advanced Research Projects Agency-Energy (ARPA-E). TERRA-REF aims to optimize breeding strategies for improving the yield and stress tolerance of sorghum (Sorghum bicolor), a leading bioenergy feedstock crop in the United States, but also a critical source of nutrition for millions of people living in Sub-Saharan Africa. 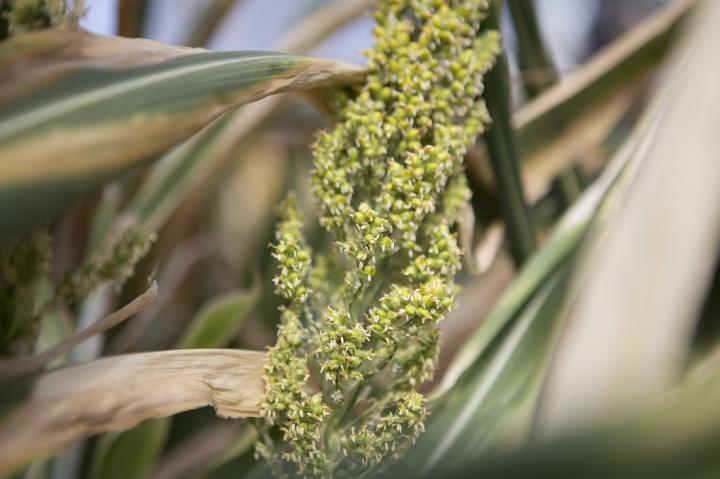 "Initially we launched the TERRA-REF project to gain a greater understanding of the phenotypic and genomic variation of bioenergy sorghum, and to lay the foundation for genomics-enabled breeding strategies for U.S. sorghum bioenergy feedstock production, but the same strategies are directly extendable to food security crops," said Todd Mockler, Ph.D., Geraldine and Robert Virgil Distinguished Investigator, Danforth Center. "I'm grateful to the Bill & Melinda Gates Foundation for recognizing the need to extend the application of advanced genomics and phenomics technologies to food crops that will benefit millions of people living in the developing world." "The National Sorghum Producers is excited to see the additional investment into sorghum research and breeding, which will help farmers around the world as they continue to deal with the challenges of advancing sorghum genetics to address climate variability and the need for increased food sustainability," said Tim Lust, chief executive officer of the National Sorghum Producers.